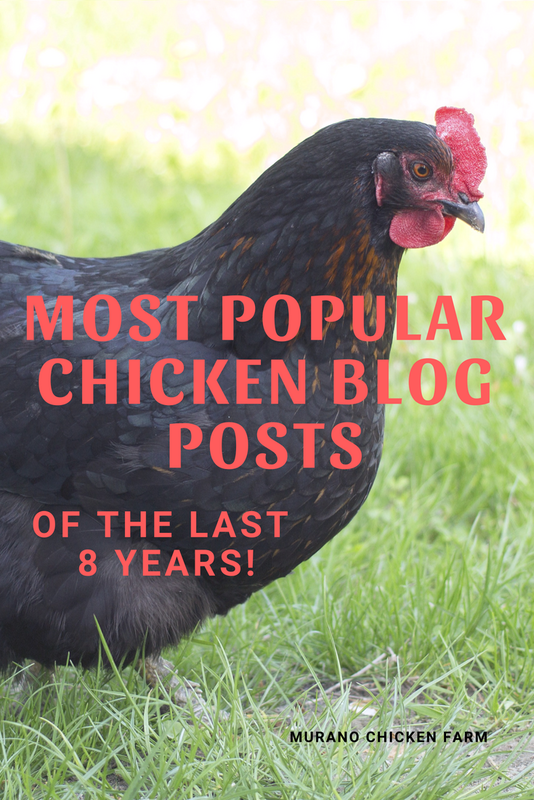 I've been spending time going through the past 8 years of chicken blog posts. (that's over 200 if you were keeping track lol) I'm looking for trends in chicken keeping practices. It's interesting to me to see what chicken topics are popular now and through the years. Posts about chicken coops are always a popular topic, and anything about chicken health also gets read a lot. I've also noticed that people love to read about saving money on chicken care and supplies. Then there's guinea hens, which people either love or hate! So many different awesome things to write about chickens and chicken care! Click the title to visit each post. 14) Free chicken feed sources, the ultimate list! 9) How long do chickens live? 4) 4 coop additions I can't live without! 3) How often should you collect eggs? 2) How I make $1,000 a month from 15 chickens! I added the year each post was written because I find it interesting that some newer ones have passed older ones in amount of people who have read them in a shorter time, while many older posts are still relevant and popular years later. I wrote a post earlier this year about going on vacation even if you have chickens. So, guess what I did this week? I'll be back next week with new posts from the farm. Hope ya'll are enjoying your summer too!